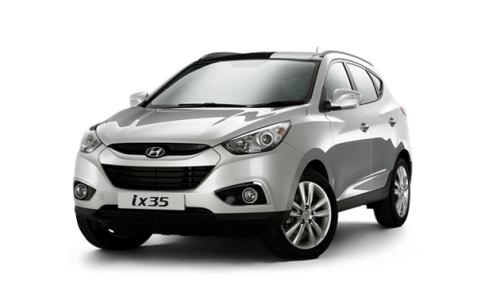 Hyundai ix35 PDF Workshop, Service and Repair manuals, Wiring Diagrams, Parts Catalogue, Fault codes free download!! Crossover Hyundai ix35, which replaced the model Tucson, stood on the conveyor in 2010. In the US and Korean markets, the model retained its former name. Production of machines was carried out at factories in Korea, Czechia, Slovakia. The car was designed on a common platform with the model Kia Sportage of the third generation, it had versions with front and all wheel drive. In 2013, restyling of the model was carried out: the exterior and interior were slightly changed, new options appeared, and the range of power units was supplemented with gasoline engines 1.6 and 2.0 with direct fuel injection. Production of crossovers “Hyundai ix35” was completed in 2015, its successor was a new car with the old name Hyundai Tucson. The Hyundai ix35 crossover of the second generation is manufactured in China only for the local market since 2017. The car, borrowed platform from the predecessor, is equipped with a two-liter petrol engine capacity of 160 liters. from. with “mechanics” or “automatic”. Later in the scale there will be a turbo engine 1.4 paired with a preselective robotic gearbox. The car will be sold in China at a price of 19 to 24 thousand dollars.